2017 was another banner year for Foreverlamp, both as a leader in the LED high bay lighting technology sector and as a contributor to sustainability and a cleaner environment. To recap prior accomplishments, in early 2014, Foreverlamp released the lighting industry’s first 24,000 lumen plug and play LED lamp which consumes 50% of the energy used by the HID lamps it replaces. In 2015, the newly developed low cost 190W, 24,000 lumen LED fixture was released. In 2016, Foreverlamp released the first 50,000 lumen plug and play LED high bay lamp to replace a 1000W HID lamp. Then in late 2016, two new LED high bay fixtures were released; the Classic Series HB 1 and HB 2 models. In 2017, good things continued to happened for Foreverlamp. The Classic Series was recognized as one of the Top Ten Best Products to exhibit at Lightfair 2017. For an encore in 2017, Foreverlamp went bigger and brighter than prior years with the release of its new 75,000 lumen HB 5 Classic high bay LED fixture. There is nothing light weight about the performance of the HB 5 despite its slim 26 lbs. The HB 5 consumes only 522 total system watts; another milestone in LED high bay lighting technology and design. The HB 5 has two electronic driver choices; 120 to 270V, or 480V. Meant for high ceiling applications that are common in aerospace facilities for example, the HB 5 made a big splash in 2017. Currently being tested by Los Angeles Department of Water and Power for use in its 80-foot high transmission station ceilings and installed in the 100-foot high ceiling of the Train Room at the Philadelphia Convention Center, the HB 5 has a bright future. Continuing its tradition of pushing the lumen levels of plug and play LED lamps, in November of 2017 Foreverlamp released the J Series fan-less LED high bay lamps for harsher environment applications. The J Series is a powerful LED plug and play lamp designed to replace from 175W to 400W metal halide lamps. The J Series provides two LED high bay lamp options. The JE model is 18,000 lumens of all down light that consumes only 143W. The JK model produces 24,000 lumens including Foreverlamp’s “True Up Light” feature which fills the optic with light and also brightens the ceiling; a big hit with retail especially, and other facilities. The JK model lamp consumes only 168W which saves 232W of energy per socket when used to replace a 400W MH lamp. For a sneak preview for this new year, get ready for February 2018 when Foreverlamp will introduce its PermaLamp product line. PermaLamp is an LED two and four pin, vertical or horizontal, plug and play LED lamp series that replaces CFL lamps. These LED lamps consume 50% less energy than the CFL lamps they replace and produce a much higher quality of light. With a five-year life span these LED lamps are sure to save maintenance dollars spent replacing CFL lamps. 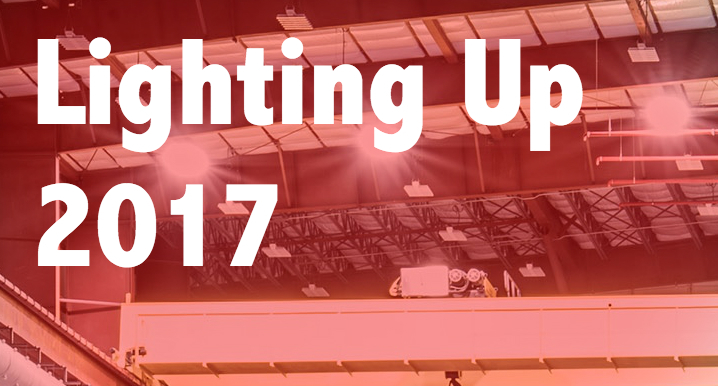 Foreverlamp expanded its presence in the LED high bay lighting marketplace in 2017. Now installed in over 240 facilities of a Fortune 500 big box retailer, Foreverlamp plug and play LED high bay lamps have saved millions of dollars in lighting related costs. And these installations have made a sizable contribution toward sustainability and reduction of greenhouse gases and pollutants. Many other facility operators and owners, from auto dealers, warehouses, ship yards, convention centers, sports facilities and other retailers, have benefited from the simple installation and low retrofit cost of Foreverlamp plug and play lamps in existing high bay fixtures. By installing Foreverlamp’s LED high bay lamps these customers have repurposed their low-tech lighting fixtures into a new LED system which saves significantly in operating expenses while at the same time benefitting our environment. 2017 also saw a major roll out of Foreverlamp’s LED high bay fixtures into many facilities globally. From a major USA clothing retailer’s Michigan and Pennsylvania stores, to a premier sports facility in Beijing, Foreverlamp’s fixtures are saving energy and expense for many owners and operators whose facilities use high bay lighting. And with the release in late 2017 of the HB 5, the savings are very dramatic indeed. The old fixtures the HB 5 replaces use around 1,150 total system watts. The HB 5 consumes only 522W; a savings of over 625W per fixture. The math certainly explains the market acceptance from major aerospace companies that see the HB 5 as a perfect lighting solution for their high ceiling applications, as well as being a perfect fit for their sustainability programs. Yes, 2017 was a great year for Foreverlamp, our customers and our environment too. Foreverlamp believes the transition towards LED lighting is an historic opportunity in the lighting industry, particularly in the high bay sector, which will continue to significantly contribute toward improving our environment. “The rapid adaptation of LEDs in lighting marks one of the fastest technology shifts in human history”. (Goldman Sachs; Nov. 2, 2016). Foreverlamp is proud to be a leader in the high bay LED lighting sector, both in technological advances as well as in the promotion of market acceptance of LED high bay lighting products. By engineering, designing and manufacturing cutting edge LED high bay lamps and fixtures, Foreverlamp continues in 2018 to lead the way toward a brighter and cleaner future.